Iran Nuclear Deal or Calm Before the Storm? I previously warned that the Syrian issue being propelled by Saudi Arabia all over getting their pipeline through Syria to Turkey for Europe, was placing at risk a real game-changer in negotiations with Iran. In the June elections, there was a major shift that moved the political wind in Tehran. President Hassan Rouhani won the election in Iran with a landslide after he campaigned on trying to get rid of the economic sanctions by engaging with the West. His victory was so impressive among the youth that he won even the very cautious backing of Supreme Leader Ayatollah Ali Khamenei to move forward and try to engage with Western countries in an attempt to ease Iran’s isolation over Tehran’s nuclear program. 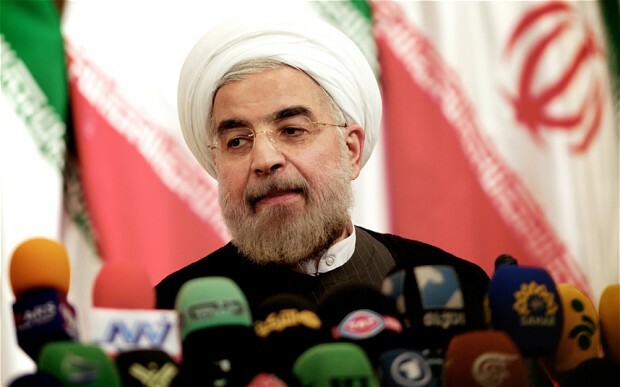 Rouhani defeated the old hardliners at the polls who still dominate parliament. They also control the powerful Islamic Revolutionary Guard Corps. Their agenda is to return Iran to the familiar posture of defiance. A Syrian strike by the USA would have supported the hardliners and isolated Rouhani who was preparing to travel to New York to attend the UN personally at that very time. President Rouhani, with the backing of the youth, wanted to show the Iranian people were ready to join the world community and end the confrontation. On Sunday, Iran and six world powers struck a deal to curb the Iranian nuclear program in exchange for initial sanctions relief reported by Reuters. This deal signals the start of a game-changing era in the Middle East. This is all a generational shift in attitude. Can this still just be the calm before the storm if the hardliners find a way to restore the confrontation after 2014?